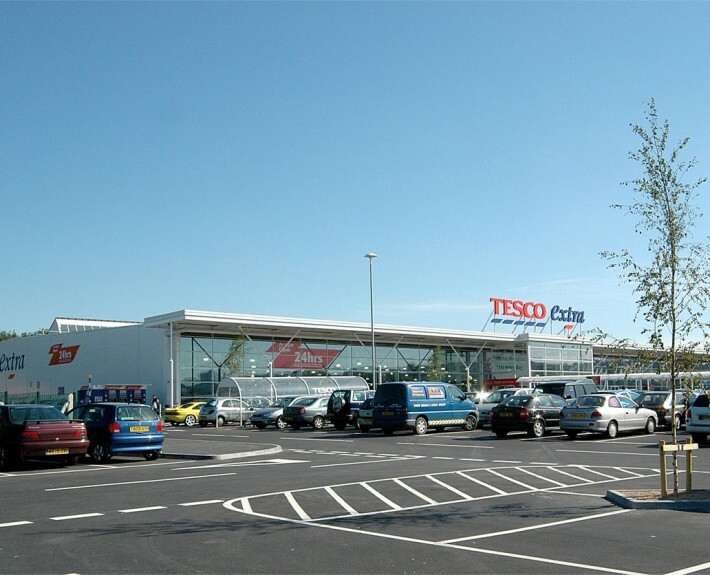 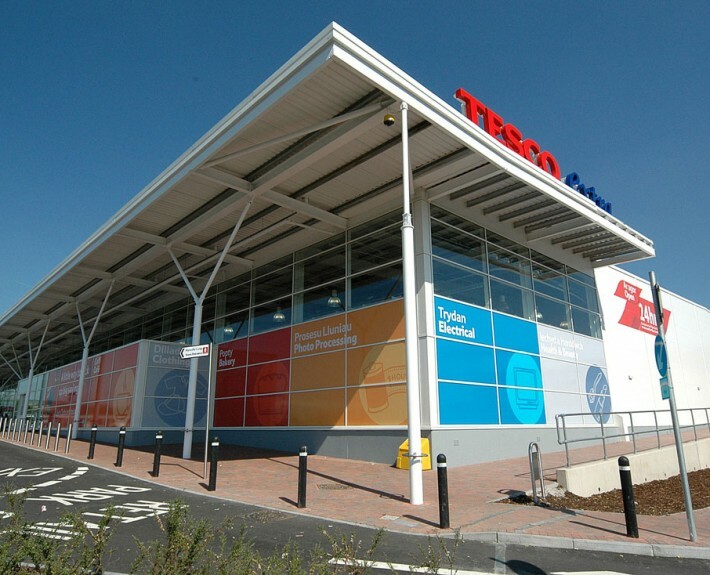 The Tesco Extra Store at Llansamlet, Swansea, was one of Tesco’s first steps in the development of the ‘environmental store’. 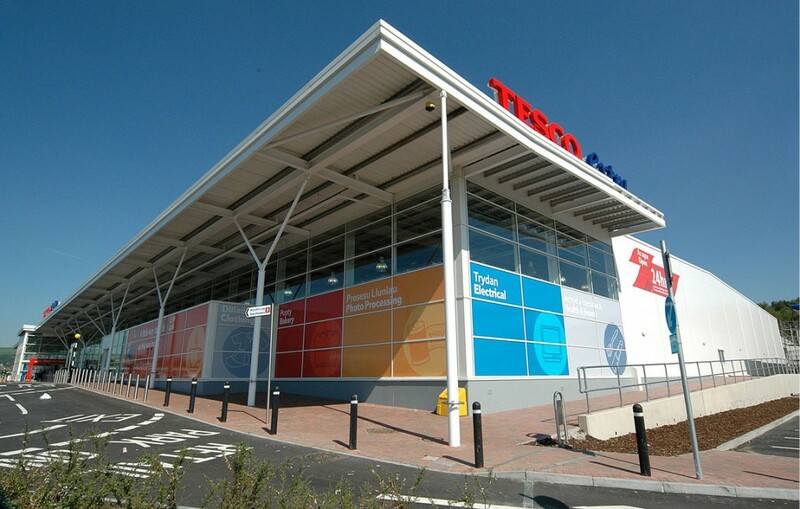 HLN, with assistance from the Welsh School of Architecture and Design Research Unit and their first class environmental analysis and modelling facilities in Cardiff, worked with Tesco and their design team in developing a store design which reduced energy consumption by 30% and at the time was the most environmentally friendly store Tesco has built. 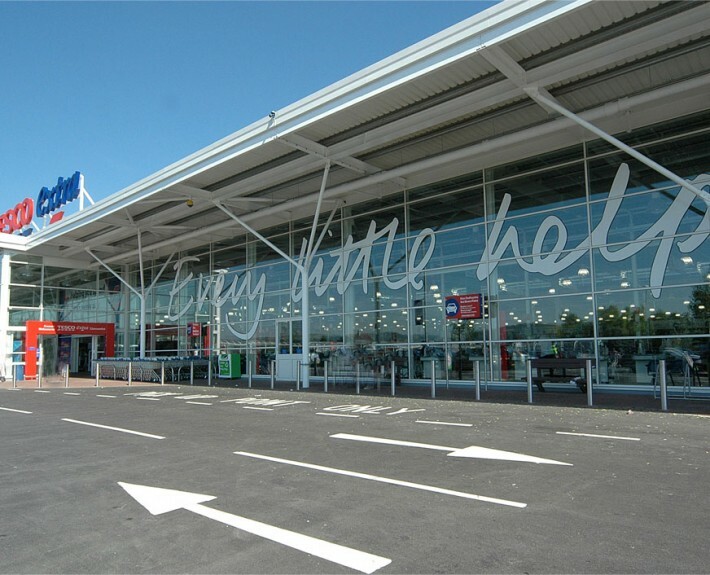 The design introduced daylight into the middle of the store through north light glazing reducing daytime artificial lighting demand, a Combined Heat and Power (CHP) unit generates on-site electricity meeting 25% of the store’s demands and this is supplemented by 440 Photovoltaic (PV) panels fitted on the roof to provide free renewable electricity to the store. 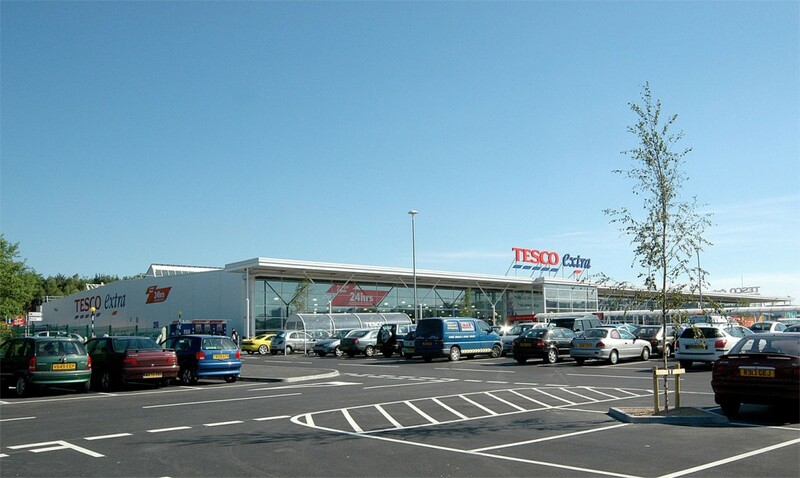 The CHP unit also meets all of the stores heating demands. 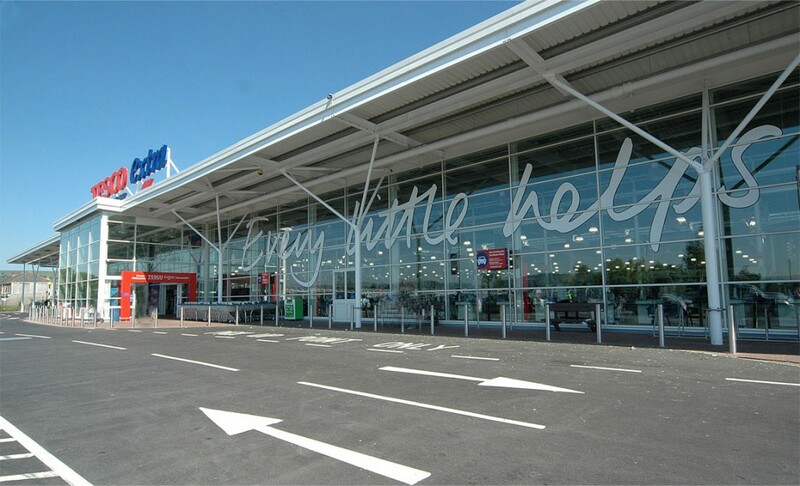 Other initiatives captured include rainwater harvesting, cold air retrieval, low energy light fittings, environmentally friendly refrigeration systems and super efficient ovens.